The Homestay Program provides students with an excellent opportunity to improve their English, learn more about Australian culture and get the best out of their international educational experience. Homestay is full board accommodation offered by a family, couple or single person for which a set weekly rate is charged. In the 2018 the rate is $250 per week. This covers expenses associated with hosting an international student and is not intended as a source of income. The college selects homestay families with great care. No student is placed in a homestay without the college undertaking an approval process that includes checking references, a site visit, interview and verification of a Working With Children Check for all persons over the age of 18 years residing or frequently residing within the homestay residence. The college works closely with our homestay families as they play a vitally important role in providing support, stability and a nurturing home environment for our international students. 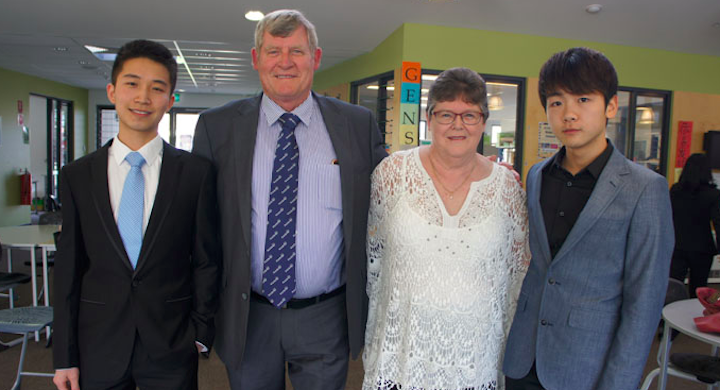 Homestay families are encouraged to assist the student to adapt to Australian culture as well as supporting the student’s involvement in social activities. The students, staff and homestay families come together for a dinner or lunch at least once a term and celebrate festive occasions important in the student’s and Australian culture. Members of the Student Council and their families have hosted or joined in celebrating events together. Apart from the good fun had by all, this provides opportunities for the students, families and staff to get to know one another better. Assistance and support for the student to adapt to living in Australia away from home.